SAVE OVER $2,000 ON ONE OF OUR LAST HOLDOVER DAYTONA’S DURING OUR SUMMER SELLDOWN PROMOTION! THE KING of the mid-sized Supersports is back again in 2016 and ready to take you to the trophy stand if you’re a “track guy” (or at least braggin’ rights at the corner bar). 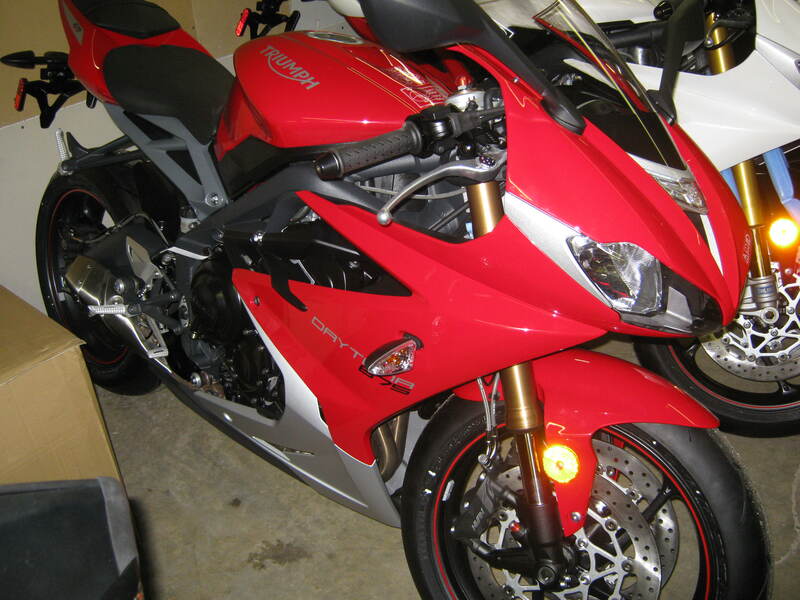 Powered by the award-winning Triumph 675 Triple cylinder monster, this bike does it all and does it all well. Imagine taking everything great about the sportbikes of old, then combining it with just about every modern convenience and mechanical update available – then you have the new Daytona 675. 3-Cylinders make more power than 2 is a simple formula. To prove it just look at the specs: 128 BPS and a 14,400 red line make it THE BIKE TO BEAT on the track, highway, or anywhere you feel the need for speed. Bike is in-stock and ready to race (we mean ride) home today.